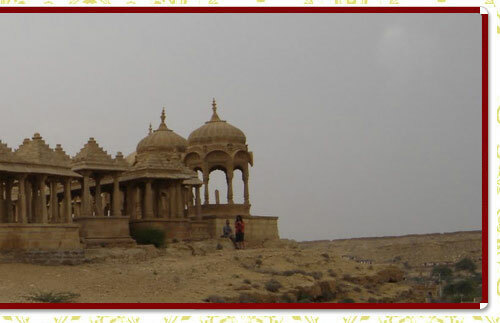 Jaisalmer is a tawny golden sand land known for its grandeur of havelis and palaces. Located in the north east Rajasthan, Jaisalmer is a one of a kind jewel adorning the beauty of the land. Famous for Camel Safari, the city is also a popular hotspot for luxurious royal weddings. Main Attractions: Jaisalmer Fort, Havelis, Jain temples. Geographic : Once located as the entry point of the trading caravans from Central Asia to India, Jaisalmer is located in the heart of the Great Indian Thar Desert. Famous for : Overlooked by the frowning Fortress of Jaisalmer which acquires a golden hue at sunset, Jaisalmer is known by the sobriquet of the Golden City. By Air : Jaisalmer airport connects it to major cities like Jaipur, Delhi & Mumbai. By Road : Jodhpur - six hours, Jaipur - 13 hours, Bikaner- seven hours. By Railways :Jodhpur-six hours, Jaipur -12 hours. Founded in 1156 by Rawal Jaisal, the ruler of the Bhatti Rajput clan, the town stands on a ridge of huge table top hill, crowned by a fort, which contains the palace and several ornate Jain temples, a legacy of the thriving Jain traders who were patrons of the city. Jaisalmer was positioned strategically along a traditional caravan trade route traversed by the camel caravans of Indian and Asian merchants' enroute to & from India to Central Asia, Egypt, Arabia, Persia, Africa and the West. The great wealth which thus flowed on this route gave rise to the rich legacy of Jaisalmer, on display as part of Jaisalmer city guide. One of the largest forts in the world, the Jaisalmer fort was built in 1156 AD by the Bhati Rajput ruler Rawal Jaisal, from where the city & the fort derive their name. The fort standing gloriously amidst endless stretches of the great Thar Desert, on gigantic table top Trikuta Hill has been the scene of many battles. The fort's massive yellow sandstone walls are a tawny lion color during the day, fading to honey-gold as the sun sets, for which reason, it is also known as the "Golden Fort". The royal palace or Raj Mahal is opulently decorated with carvings & other embellishments. The famous Indian film director Satyajit Ray wrote a detective novel and later made it into a film, Sonar Kella (The Golden Fortress), based on the fort. 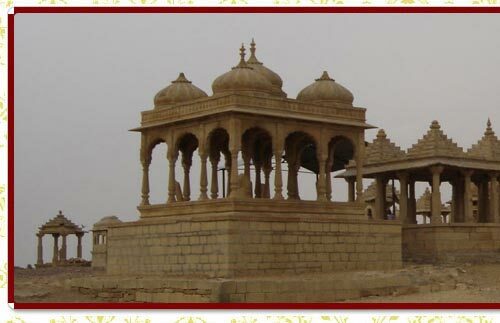 The fort is prime tourist place in Jaisalmer. Hundreds of years old, the Havelis are beautiful, ornate carved residences built by wealthy merchants The Havelis of Jaisalmer are elaborately carved from golden sandstone. Though some havelis are converted today to museums, many are still lived in by the families that built them. Among these is the Vyas haveli which has many floors and countless rooms, with decorated windows, archways, doors and balconies which were built in the 15th century. Built by the once powerful jain trading community which used to trade throughout the world using the traditional caravan routes, the Jain temples adorn the city & contain rare manuscripts & artifacts of Jain tradition. The temples are active pilgrimages even today & host festivities on religious festivals.